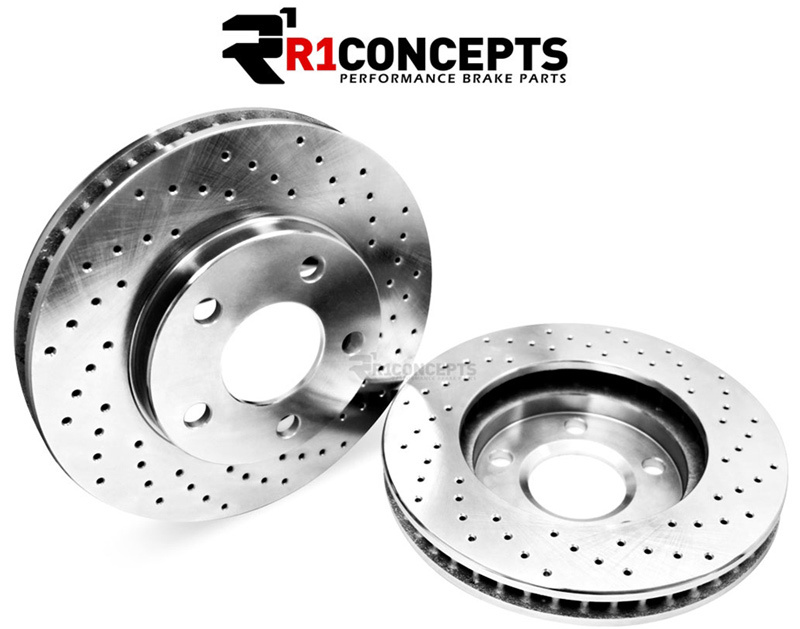 R1 Concepts E-Line Series brake rotors are a great option for those who want a medium performance upgrade over their factory (OEM) brakes. Every E-Line rotor is manufactured using G3000 grade Iron for great stability and stopping power and comes silver-zinc plated to protect against rust and maximize the lifespan of the rotor. Slotted Brake Rotors combine the benefits of cross-drilling and slotting without compromising the stability or performance of the rotor. 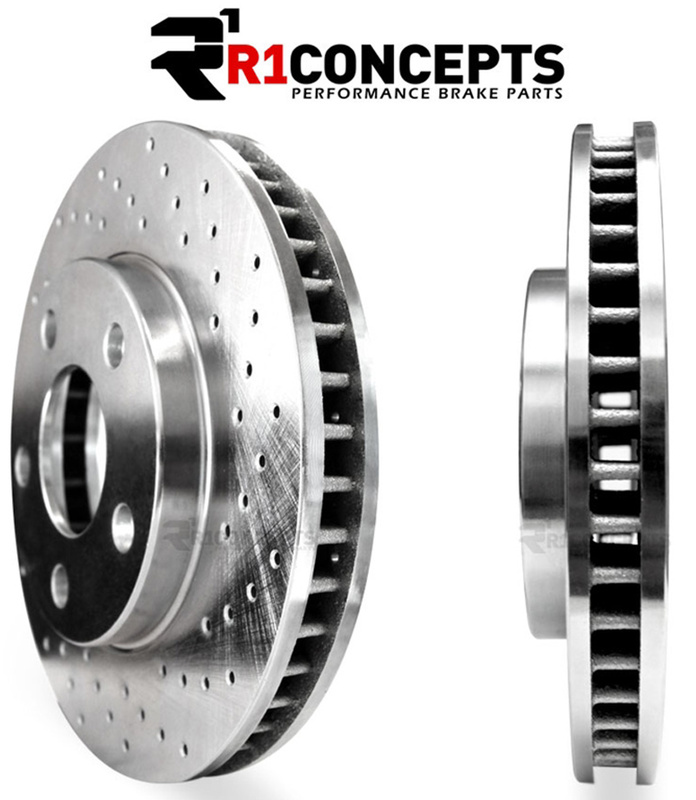 All R1 Rotor kits include brake pads, and also include brake pad wear sensors where applicable.